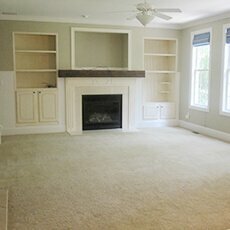 Get 50% off carpet cleaning! Hire Carpet Cleaning Battersea and you are guaranteed to enjoy the most comprehensive carpet cleaning services in SW11, SW8. We use innovative equipment and we offer many benefits to our customers in Battersea. The reason why our reliable carpet cleaning service in SW11, SW8 Battersea is of such a high quality is that it is carried out by a team of qualified and experienced carpet cleaners. Each of our professionals has been properly trained and has an incredible array of skills. Our competent and certified personnel work quickly, yet they always make sure to follow all quality and safety standards. As a result, all London customers of Carpet Cleaning Battersea get a 100% services satisfaction. 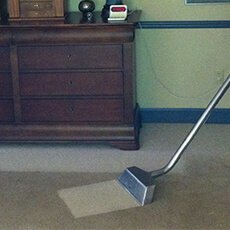 Carpet Cleaning – covers carpets of any size and fabric, including wool, polyester, plush, acrylic and etc. We are able to remove built-up dirt, allergens and debris using the highly effective hot-water extraction method. If you like, our team can also stain-proof your carpets. Mattress Cleaning – a great way to make your mattress feel and look like brand new. We can quickly remove stains, odours and allergens and help you get a good night sleep. Our staff will happily treat your mattress or mattresses for microbes and bed bugs and even deodorise it. 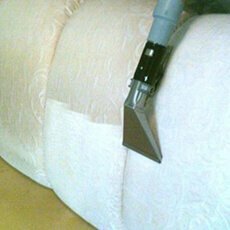 Sofa & Upholstery Cleaning – available at a super low price. For sofas, clients will only have to pay £14 by seat, while dining chairs can be thoroughly sanitised for just £7. We use the steam cleaning technique which is pet and child-friendly. Curtain Cleaning – our seasoned technicians can remove soil, pollution, stains, dust and unpleasant odours from curtains of any length and fabric, often without even having to unhang them. The starting price for a pair of half-length curtains is £20. Rug Cleaning – suitable even for high-traffic and heavily soiled rugs. The cleaning of small rugs costs barely £17 and that of large rugs – £31. We can deal with stubborn stains using special equipment and eco-friendly products. Hard Floor Cleaning – suitable for hard floors of any kind and in any area of your property. Our specialists will use the most appropriate cleaning method for your floor surface. A hardwood floor cleaning job starts at £2 per square metre. 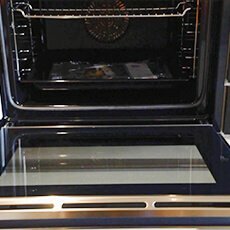 Oven Cleaning – a full degrease of the most used appliance in the kitchen is a must for every home at least once in a couple of months. We from Carpet Cleaning Battersea offer reasonable prices. We promise that you will not have to worry about hidden fees or surcharges. Our pricing policy is remarkably transparent and honest. For your convenience, our attentive and helpful staff can schedule an on-site visitation and give you a precise cost estimate. All of our clients have the chance to get a personalised quotation. In that way, they will not only stay within the limits of their budget but they will also enjoy greater value for their money.